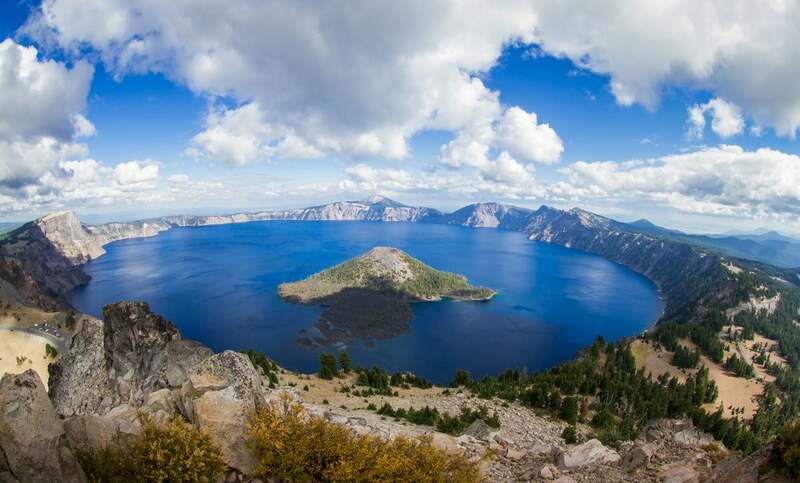 10 Campgrounds Near Dormant and Active Volcanoes in the U.S. There are a lot of good reasons to visit volcano country. Volcanic terrains offer high vistas and summits, geothermal features like geysers and hot springs, and a diversity of ecosystems all in one accessible region. Maybe best of all, dormant and active volcanoes in the U.S. often don’t lend themselves to development, so many of these relatively young landscapes offer what’s usually hard to find—opportunities for solitude and wide-open spaces. 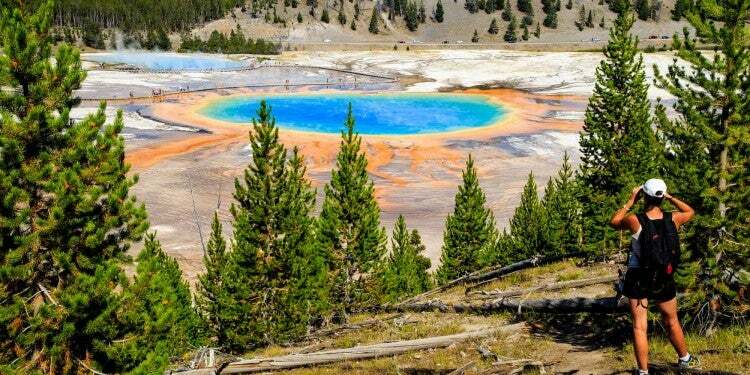 10 Camping Destinations Near Dormant and Active Volcanoes in the U.S.
Not sure where to start? We’ve curated the best volcanic land areas that also offer camping. Katmai National Park and Preserve, with more than 14 volcanoes within the park, holds some of the most active volcanoes in the U.S., and even the world. Part of the Pacific ‘Ring of Fire’, the volcanoes in Katmai and the Aleutian Islands are classified as composite, large, steep-sided cones, made of alternating deposits from flows and explosive eruptions. Unlike the volcanoes in Hawaii, which are fed by ‘hot spot’ plumes of magma, these volcanoes are the result of the melting of oceanic crust as it’s plunged beneath the continent. Camping here is not easy, cheap, or for the faint of heart—but it’s worthy of a spot on any adventurous bucket list. The Brooks Campground is open all year, however access is only via air or boat and few services are available. 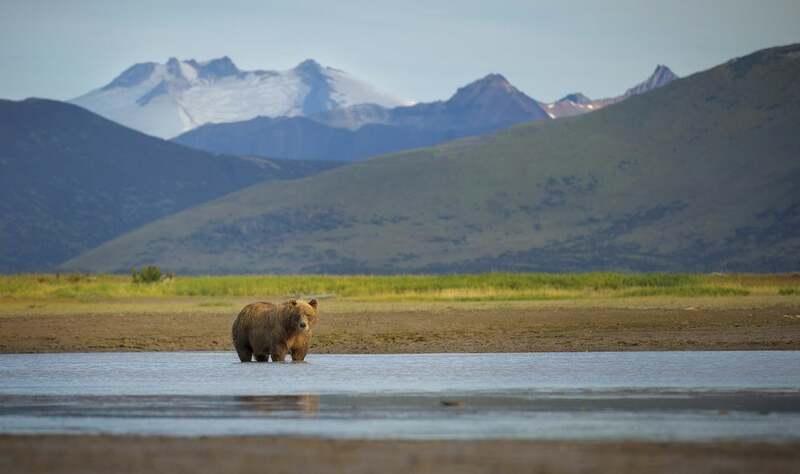 The official season, during which potable water is available, and the electrified bear fencing is operational (yes, this is also one of Alaska’s best places to see brown bear), runs from June 1 to September 18. 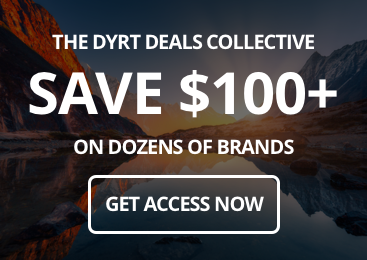 Backcountry passes are available. 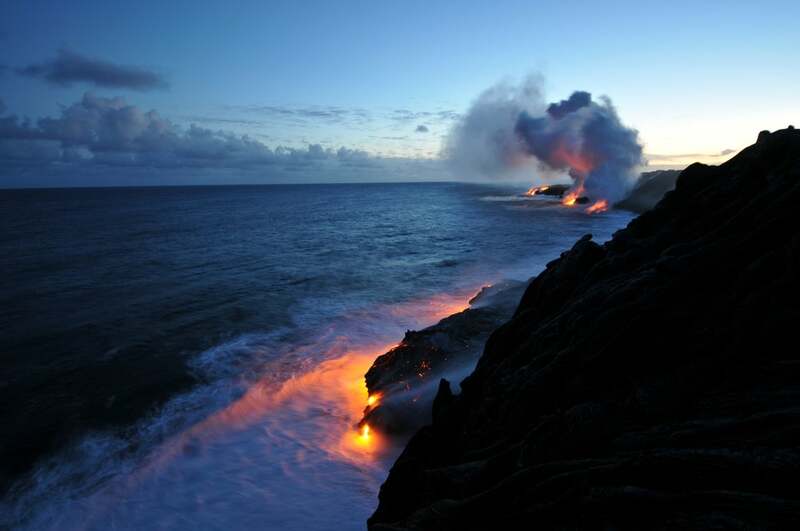 Volcanoes National Park is your best bet to see actual molten lava from any active volcanoes in the U.S. Kiluaea volcano has been erupting for decades, producing the signature flows, lava lakes and fire fountains of shield-type volcanoes. The most recent eruption in 2018 wreaked havoc on the island’s infrastructure and campgrounds but as of early 2019, the lava has receded and access to impacted areas is being restored. While no lava is currently visible, keep your eye out; hot spot volcanoes like these are destined to come back to life. 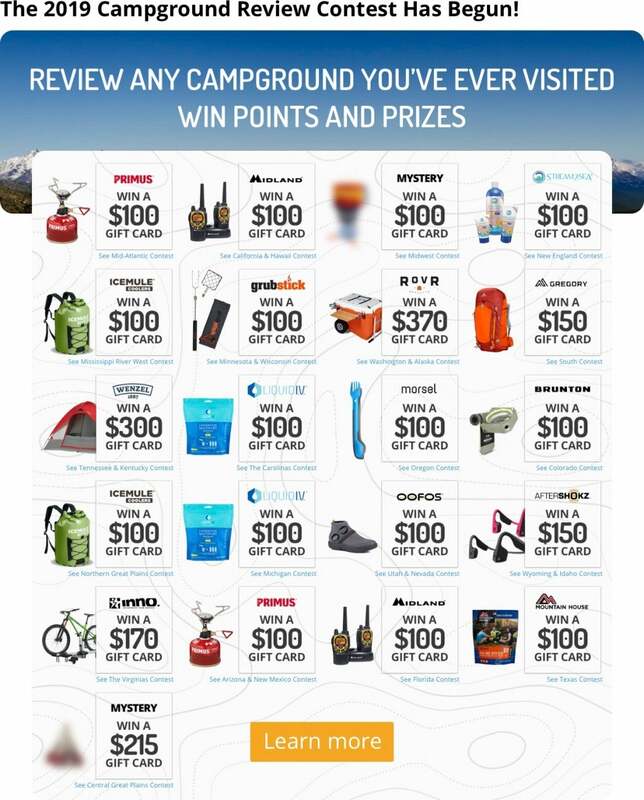 There are two campgrounds near Kiluaea, the primitive, first-come first-served, Kulanaokuaiki Campground and the more developed Nāmakanipaio Campground. Around 30 million years ago the western United States began to stretch, thinning the crust of the North American Plate in an ongoing process that ultimately allowed plumes of hot magma to melt through. 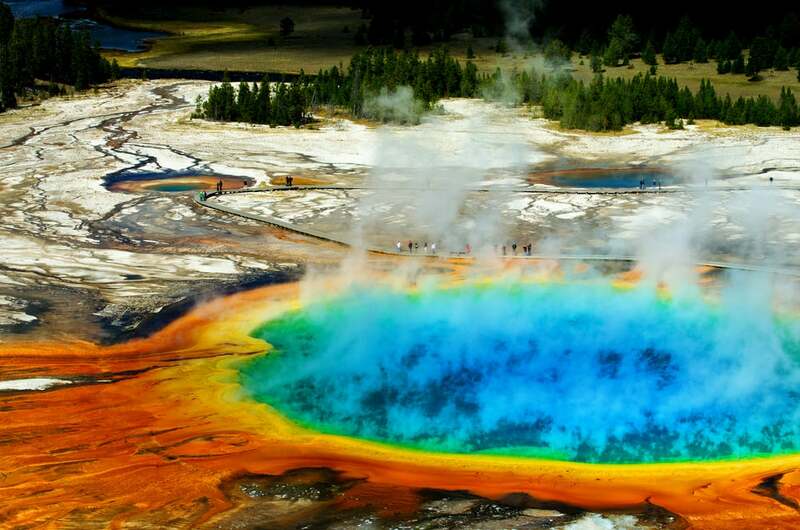 Yellowstone sits on that volcanic result, but its unlike other active volcanoes in the U.S.—the entirety of Yellowstone National Park is one giant, simmering, collapsed volcano (caldera). And the continued presence of hot, near-surface magma interacting with groundwater is why there’s such an abundance of hot springs and geysers in the park. 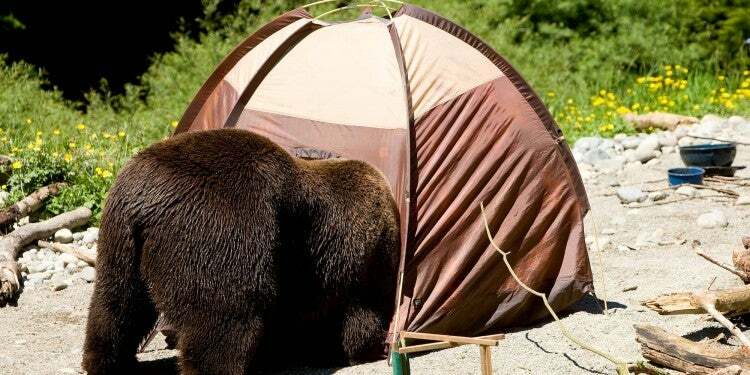 Yellowstone National Park has 12 campgrounds that host over 2,000 campsites. On May 18, 1980, a magnitude 5.1 earthquake shook Mount St. Helens, crumbling its north flank. Thousands of feet of the mountain collapsed, triggering a sustained eruption of pyroclastic flows and ash. It was the largest eruption of a volcano in the continental United States in the modern era and it left behind a devastated region; a massive failure scar, hundreds of miles of trees blown down like matchsticks, and feet upon feet of ash. It remains one of the best-preserved volcanic landscapes in the world. 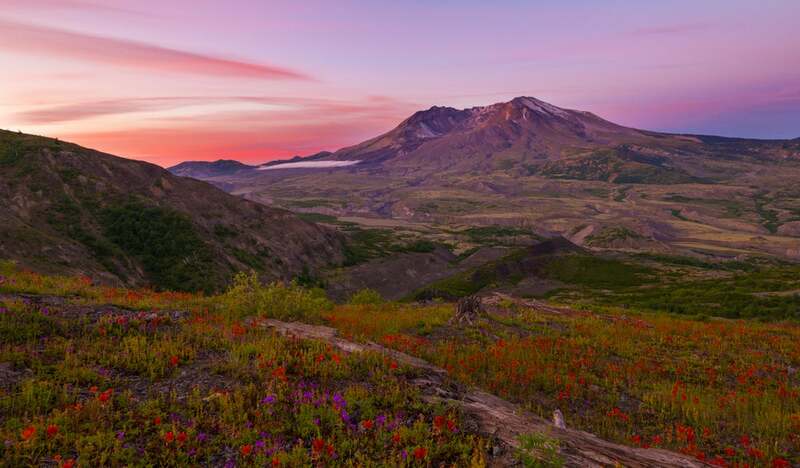 Mount St. Helens is uniquely accessible of all the active volcanoes in the U.S. 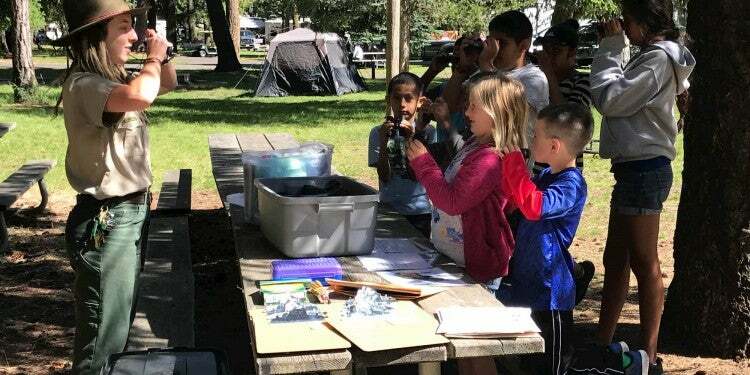 Within hours of Portland and Seattle, visitor’s centers and trails throughout the impacted area provide education about and context for this one of a kind eruption zone and camping is in abundance. To camp on or near the blast zone choose a campground on the north or west side of the volcano, off State Route 504. If you’re looking to climb the volcano, the Climber’s Bivouac campground provides easy access to the trailhead. Dispersed camping and backcountry permits are also available. Newberry Crater is the jewel in eastern Oregon’s volcanic field, which consists of over 400 vents and cinder cones over a 1200 square mile area. While Newberry Crater itself is still considered active, it is best known for its extensive and immaculately preserved obsidian flows—glassy black rocks interspersed with aerated bands of ‘fluff’ that stretch miles from the collapsed crater. 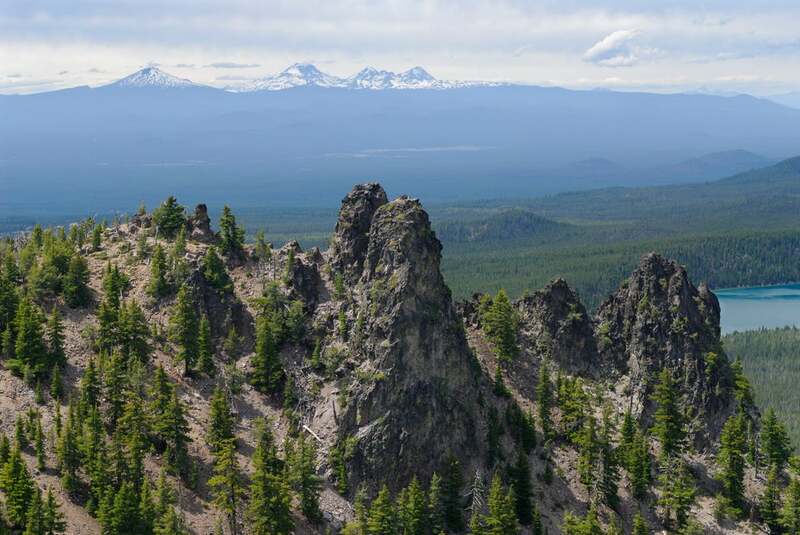 The Newberry area is also home to one of most extensive lava cast forests in the world and an array of easily explored lava tubes, remnant features of active flows. 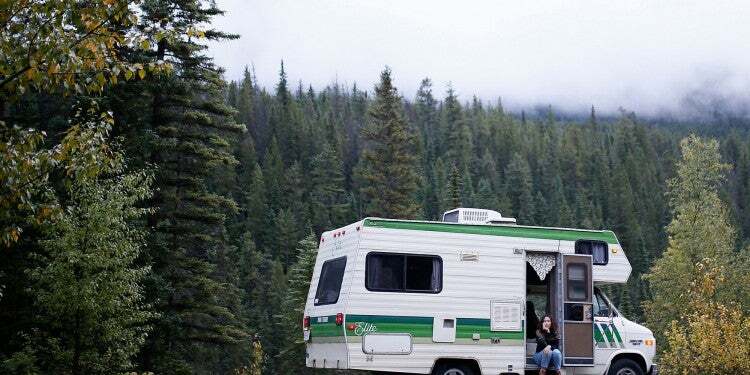 There’s camping near the caldera and lakeside camping at nearby Paulina Peak, or take advantage of dispersed camping in the Deschutes National Forest. Sunset Crater is a textbook example of a cinder cone and its associated lava flows. Cinder cones are small volcanoes formed when cinders from fire fountaining and small-scale explosive eruptions pile up. 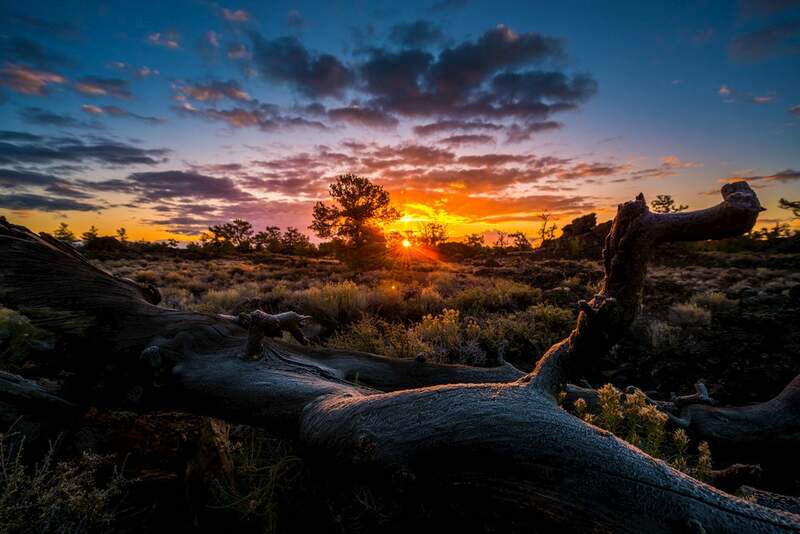 This high-desert environment has preserved an astonishing diversity of volcanic rocks and volcanic features including squeeze ups, fissures, collapsed lava tubes that generate a constant current of icy-cold air, and tiny spatter cones. Camp across from the visitor center at the Bonito Campground from late May to mid-October, or find a dispersed site in the surrounding Coconino National Forest. You don’t have to be a spelunker to get excited about the extensive lava tube caves at El Malpais, which are interspersed along a network of accessible trails. Unlike limestone caves, which form as water passes through and dissolves rock, these caves form as lava flows cool and channelize, creating ‘tubes’ which transport lava more efficiently from the source. When the eruptions end, the tubes drain, leaving long caves that reach from the crater to the end of the flow. Caves are accessed with a free permit obtainable at the visitor’s centers. 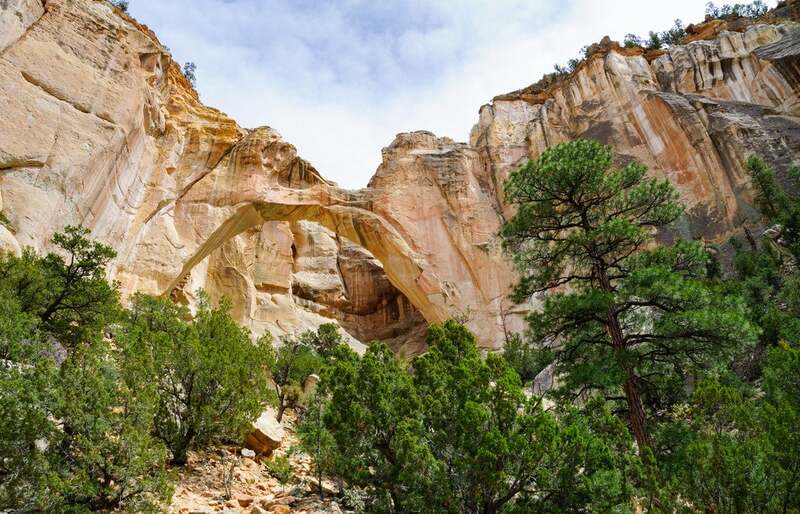 Camping is not permitted within the Monument, but wilderness permits are available for the nearby El Malpais National Conservation area and camping is allowed in the National Forest lands of the San Mateo and Zuni Mountains. Oregon country and many of the other Cascade volcano peaks. There are two official campgrounds in the park: Lost Creek and Cold Springs. 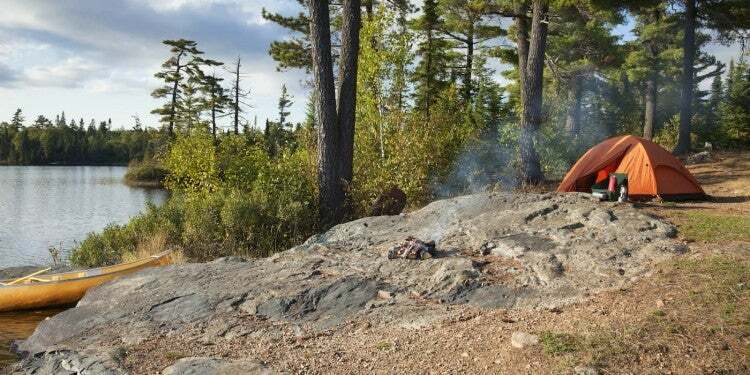 Backcountry camping is permitted all year with a permit. Craters of the Moon boasts a peculiar claim to fame; it was one of the areas used by NASA to train Apollo astronauts in preparation for their missions to the moon. The pocked, barren landscape, in contrast to those of the moon which are largely caused by impacts from meteorites, are volcanic in nature. The lava field is the result of the opening of massive fissures which seeped for more than 10,000 years before going dormant. Even so, it’s easy to see why NASA thought it a suitable place to prepare astronauts for the wasted landscape of the Moon. Camping is permitted from April to November at the Lava Flow Campground and Group Campground as well as in the nearby Craters of the Moon Wilderness, Preserve and Monument for those with permits. 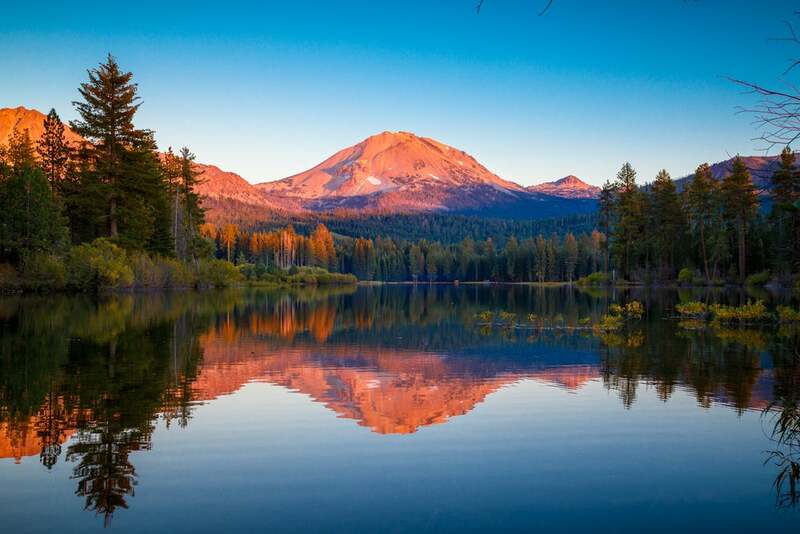 Lassen volcano, the southernmost member of the Cascade Range, sits between two distinct volcanic areas. 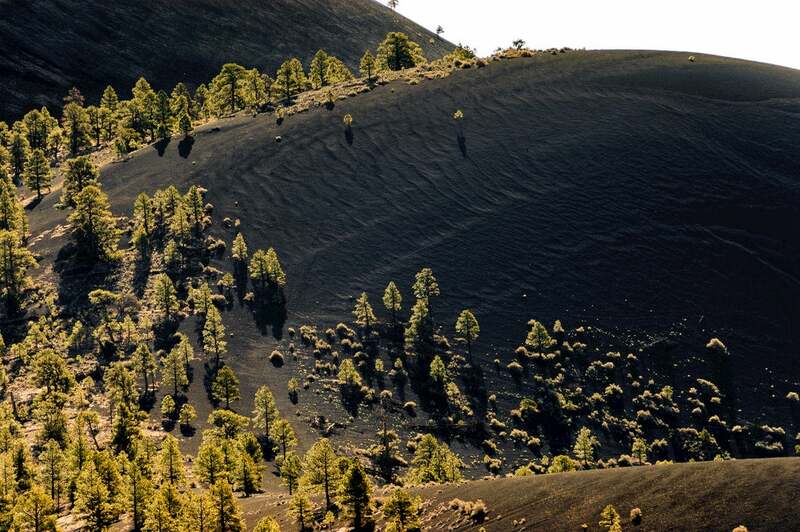 The park, which encompasses several volcanic features, is one of the only places in the world where you can visit all four types of volcanoes: plug, shield, composite, and cinder cone. Eruptive activity as recently as the 1920s has ensured that hydrothermal features including hot springs, fumaroles, and sticky, steaming mud pots of heated water and ash deposits are especially abundant. There are seven campgrounds within Lassen Volcanic National Park, generally open from spring to fall. 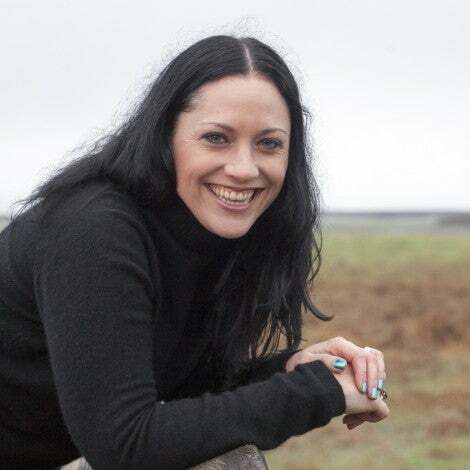 Ruby McConnell is a writer, geologist, and environmental advocate whose work has appeared in Oregon Humanities, Mother Earth News, And Grain Literary Journal. She is the author of A Woman’s Guide to the Wild. You can almost always find her in the woods.